Engagement photography is one of the most exciting among all types of this art form. When we talk about photography, we think of weddings, portraits, landscape, and street photography, among others. But we seldom categorize engagement as a separate type of photography. People can’t be blamed. Engagements are closely associated with weddings that they are treated under one category. However, there’s something more magical and exciting about engagement photography that photographers seem to like it better than wedding photography. Why? Well, ultimately, weddings and engagements feature the beautiful thing called love. But in engagement photoshoots, everyone is not raising against time. Unlike in weddings, there is no strict time frame or schedule to follow in engagement photo shoots. In fact, couples reserve the whole day for this activity. That means no intervention from other people, just plain photoshoot in a beautiful location, without any stress or pressure. This image is one of those showing just how fun, free, and happy the couple feels during this photo shoot. They even chose a nature-packed and fresh location where they can fall in love with each other all the more. 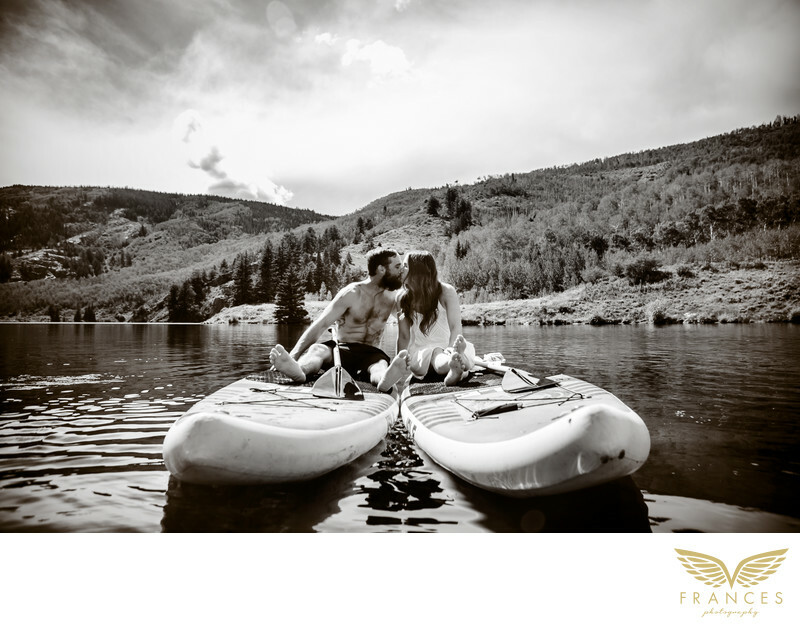 How can you not when you have the gorgeous Colorado Rocky Mountains for a backdrop, a majestic body of water as your venue, and the love of your life in your hands?